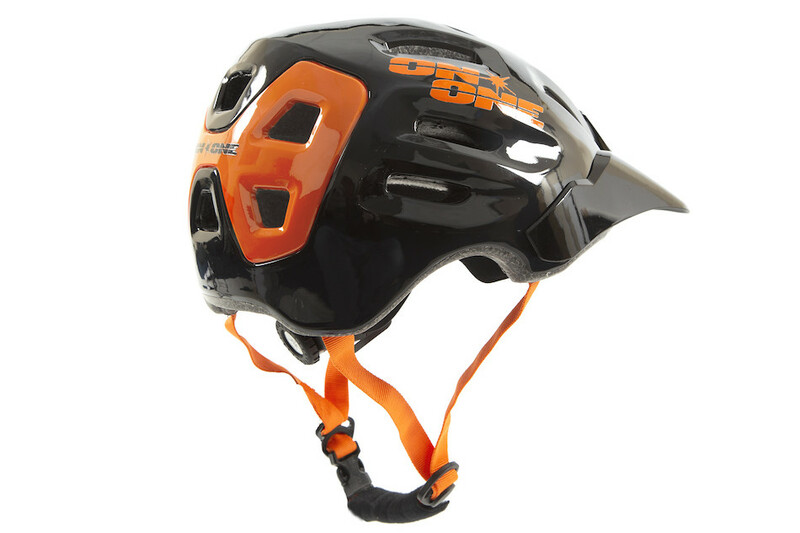 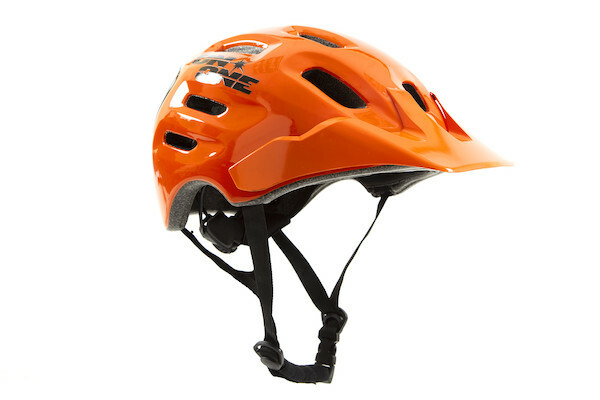 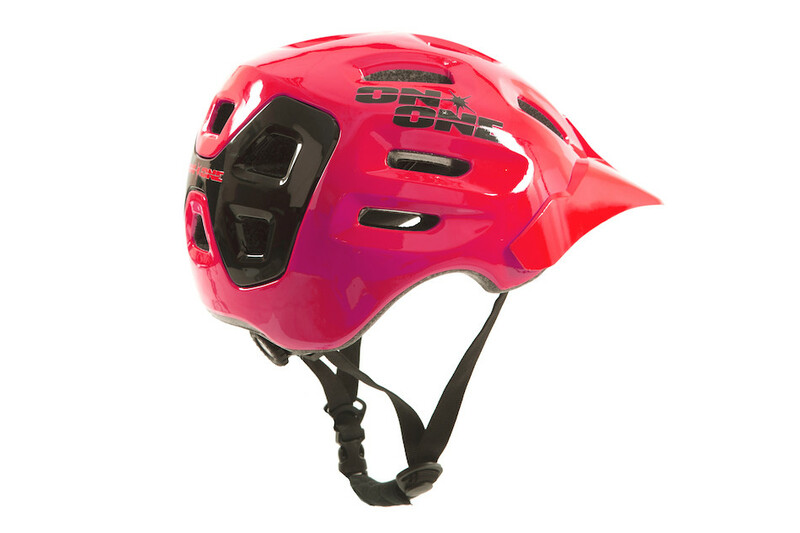 The On-One Enduro MTB helmet is built to offer the extra protection that you need for smashing the downhill runs. 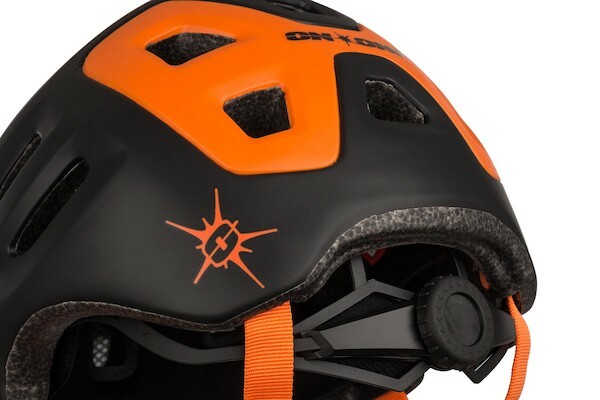 With a lower cut back that offers extended protection for the nape of your neck it's perfect for tackling the toughest trails. 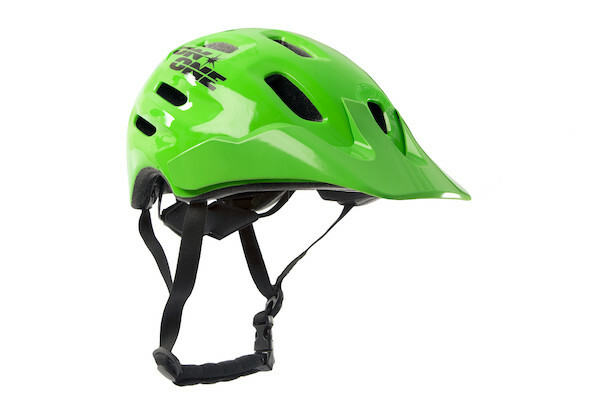 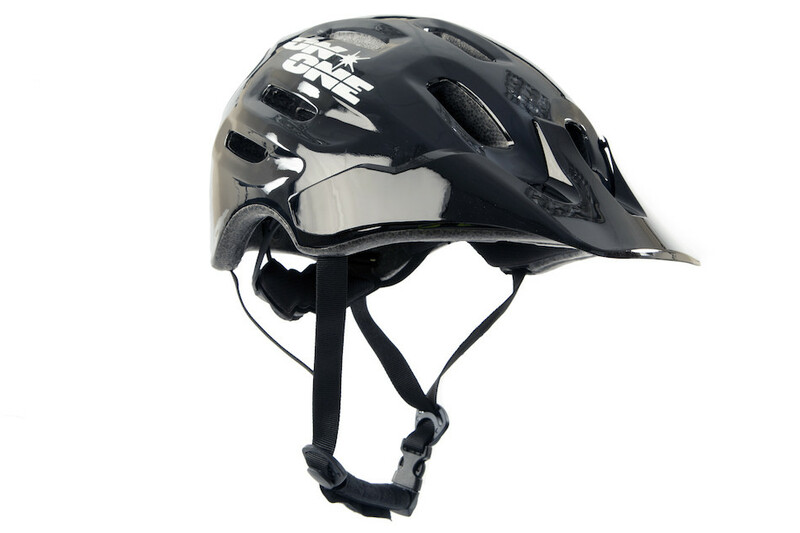 In-Mould construction implants all the anchor points for the straps into hidden fixings embedded within the EPS core of the helmet for maximum strength and durability. 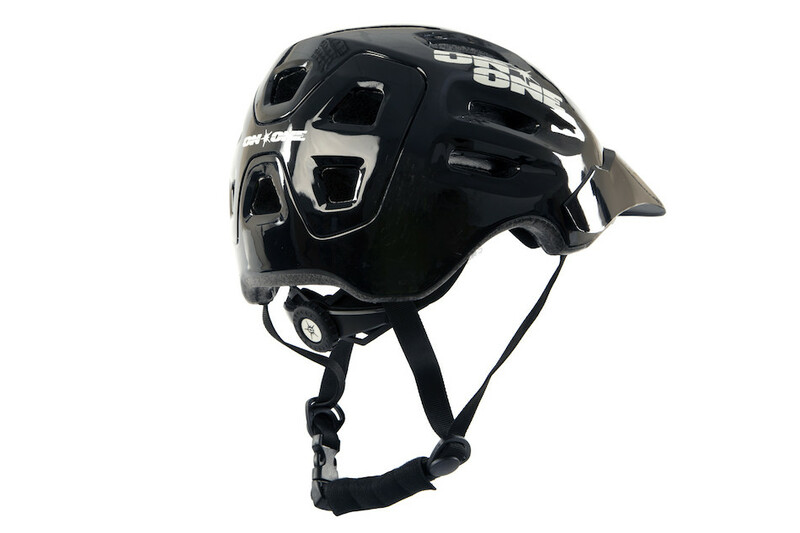 Single Shot construction co-moulds the hardened outer shell and the EPS core in a single process, fusing them together for a seamless, sleek bond. 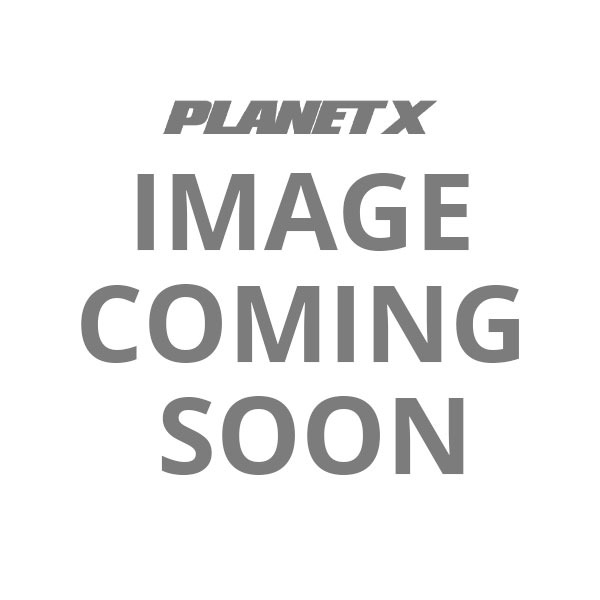 Our low friction, abrasion resistant PET Hardshell outer is designed to slip and slide in the event of a crash; helping to minimize the risk of torsion injuries. 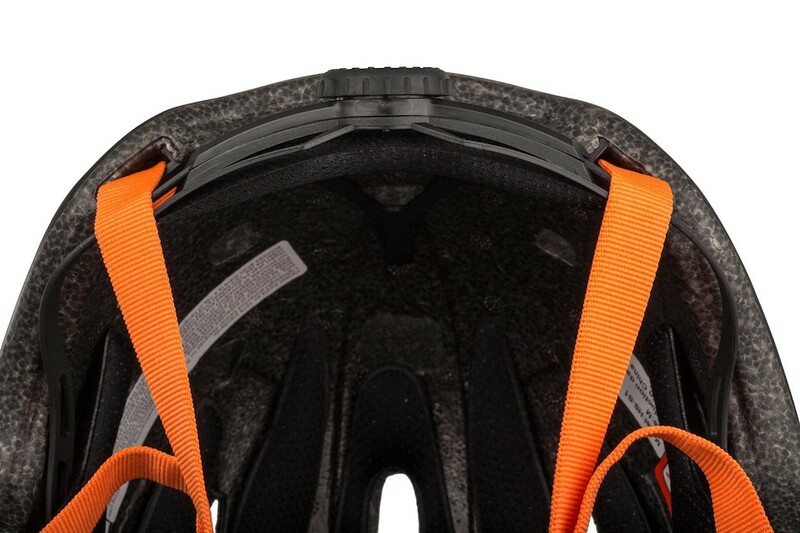 With a 3-way adjustable occipital cradle and easily adjustable internal padding you're sure to find the perfect fit. 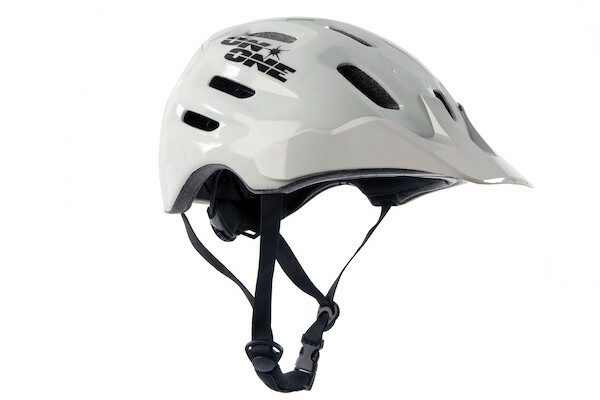 A new cradle design offers a larger range of adjustability with tilt, height and circumference adjustment. 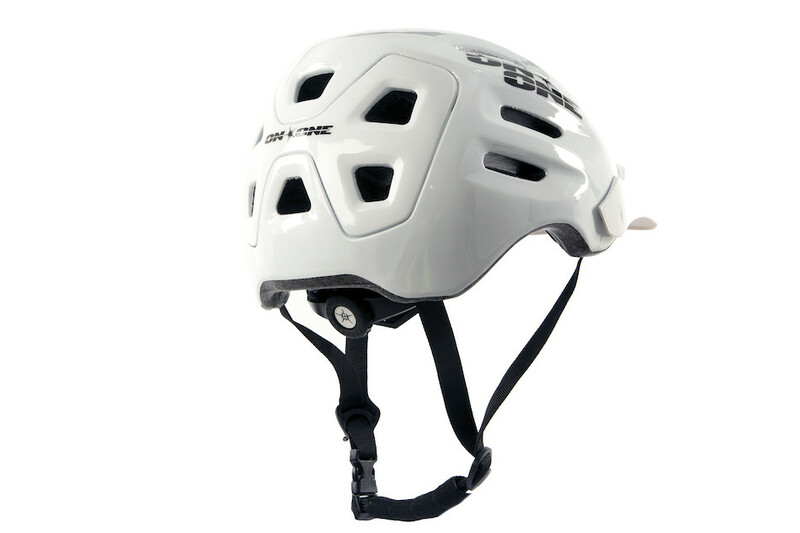 A front facing fly mesh keeps the flying crap out of your hair while the generous front peak keeps the sun out of your eyes. Maximum ventilation to keep you cool on even the hottest days is ensured by 18 air vents and a carefully sculpted front visor that directs airflow through the front of the helmet, we won't let you overheat on the uphills! 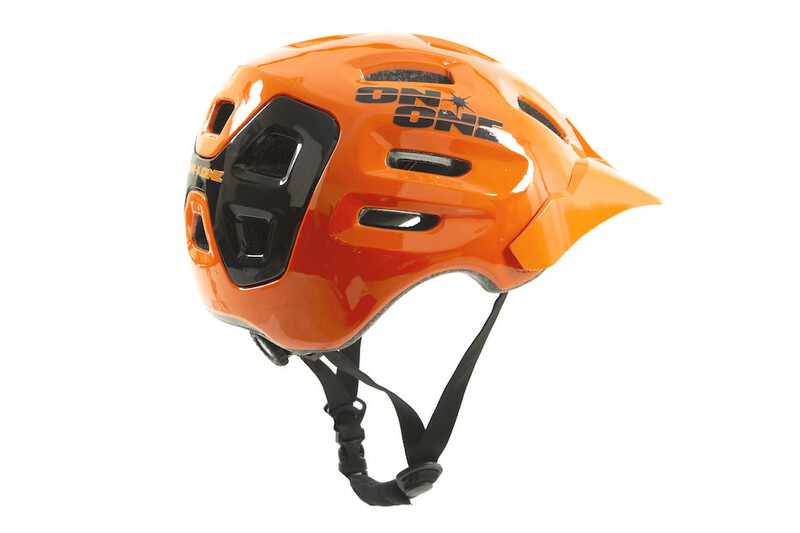 Built with greater coverage and more side protection than our lighter XC helmet the On-One Enduro helmet is perfect for the serious off-road rider who lives for the downhills. 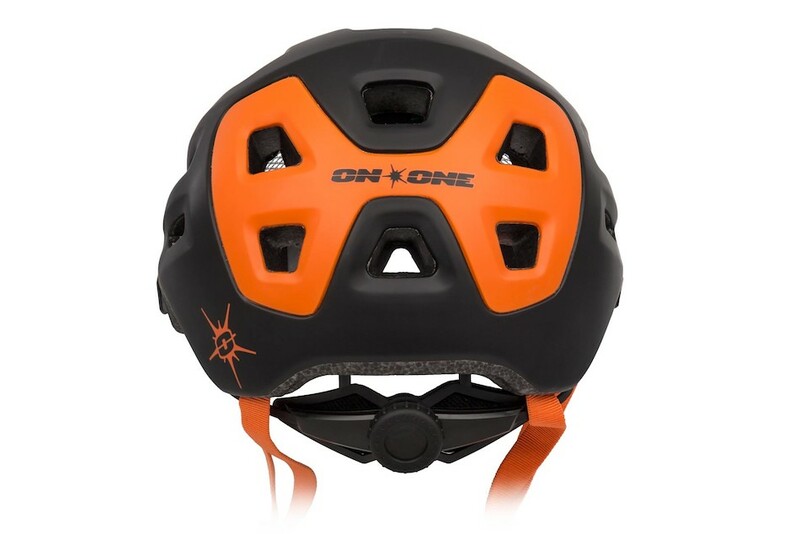 When protection looks this good, why pay more? 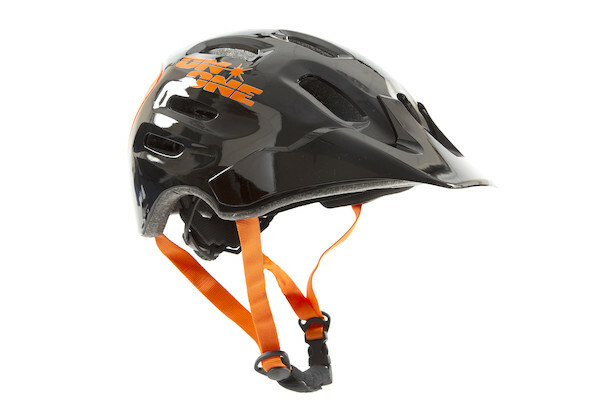 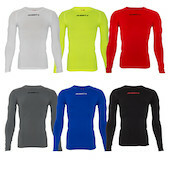 Awsome, bought this in Orange before christmas, got the larger size, fit perfect. 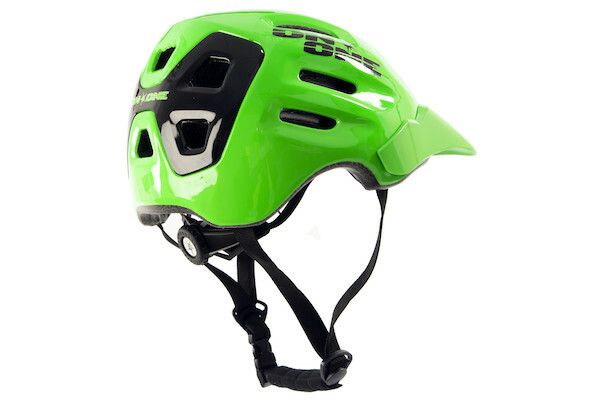 Done over 100 miles wearing this and i can honestly say it's as good as any other lid i've owned. Sit very snug, it's very light on the head, padding is fantastic, it also has netting by the vents to stop any unwanteds buzzing in your head.